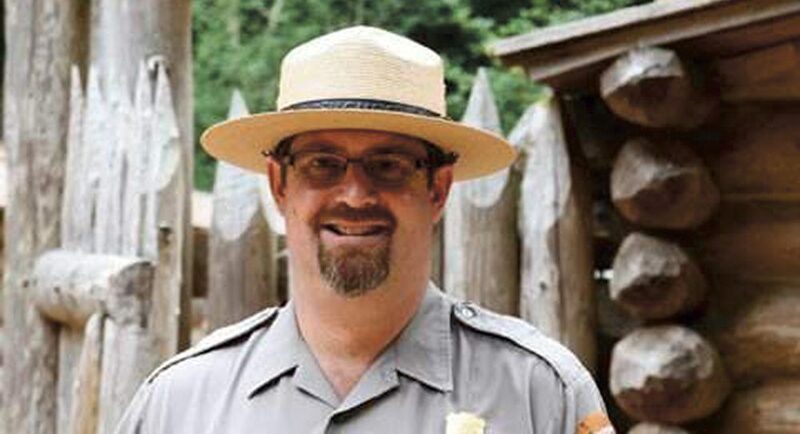 Earlier this month, the National Park Service (NPS) named Scott Tucker as the new superintendent of Sleeping Bear Dunes National Lakeshore. He will begin his assignment in mid-June. Tucker, a 19-year veteran of NPS, is currently the superintendent of Lewis and Clark National Historical Park, which includes seven units along the Columbia River and the Pacific Coast from Long Beach, Washington, to Cannon Beach, Oregon. Sleeping Bear’s current deputy superintendent, Tom Ulrich, had been among the candidates considered for the job. However, a recent NPS retiree with deep knowledge of the government organization told The Betsie Current that new executives are almost always brought in from a different park. Meanwhile, Ulrich says that he thinks Tucker will be “great” for Sleeping Bear, and he plans to remain as deputy superintendent. Continuing with our interview series on characters who impact Benzie County, The Betsie Current caught up with Scott Tucker a couple of weeks ago. The Betsie Current: Congratulations on being the new superintendent of the Sleeping Bear Dunes National Lakeshore. What drew you to our area and this job? Scott Tucker: As anyone living in the area already knows, Northern Michigan is a spectacular place not only to visit but also to live, raise a family, and work. The resources of Sleeping Bear Dunes were a draw for me as a tourist and as a National Park Service professional. Being able to work alongside a great team in a community that values the resources and a place that my family holds dear makes this an ideal location for us. Current: How much time have you spent in Northern Michigan? Do you have any favorite spots in or qualities about our National Lakeshore? Tucker: I have spent several summer vacations in Northern Michigan over the past 10 years. The University of Michigan alumni family camp on Walloon Lake has been our base for exploration of the area. Sleeping Bear Dunes, Torch Lake, Traverse City, Mackinac Island, and other towns in between have all been destinations for my family. In particular, I fell in love with Sleeping Bear Dunes when hiking the Empire Bluffs Trail back in 2010. Current: Over the past decade, Sleeping Bear Dunes has made an about-face and embraced recreational opportunities within the Park, such as creating and promoting the Sleeping Bear Heritage Trail—a popular multi-use bike trail—while also preserving much of the Park as wilderness. What is your perspective on such recreational use, even when that means paving former footpaths and attracting more people to areas that were once less utilized? Tucker: I see one of my roles as a superintendent in the National Park Service as helping the public to create connections to our resources in ways that are meaningful and useful to them. Helping to foster the next generation of stewards requires providing multiple opportunities for the public to interact with a park in their own way. I look forward to hearing from the community and the Friends of Sleeping Bear Dunes about the benefits and impacts of the increased recreational opportunities. Current: In general, what are your goals and aspirations for Sleeping Bear Dunes under your watch? Tucker: My aspirations and goals may—or will likely—change over time. Once I am on the ground and discover the pulse of the staff, the Park, and the public, our leadership team will then work together in creating a joint vision. That being said, my philosophy as a manager is to put the Park in an even better position for the future. Current: You are currently the superintendent at Lewis and Clark Historical Park in the Pacific Northwest. Before that, you worked in Washington, D.C., at President’s Park, the Smithsonian Institute, the National Mall, and the U.S. Holocaust Museum. These are urban parks compared to Sleeping Bear. What unique skillset does that give you, and how might your urban experience translate here in rural Northern Michigan? Tucker: I have been fortunate to work at a variety of natural and cultural sites of national significance. My current position in Astoria, Oregon, has me in a multi-dimensional park with wetlands, beaches, coastal dunes, coastal prairie, forest, and recreational hiking trails—all centered on a story of exploration, science, and discovery. Lewis and Clark is in a town with a population of 10,000 and a county of 30,000 residents, with the closest commercial airport nearly 100 miles away. So the rural aspects of my current park directly translate to Northern Michigan, minus the snow. The skillset I bring is one of communication; employee and community partnerships to lead the park in a collaborative direction. Parks are very complex operations, and Sleeping Bear Dunes has a strong leadership team with individual expertise in areas that are specific to natural and cultural resources. My job is to remove the barriers so they can do their jobs, while ensuring NPS policy, regulations, and laws are followed. Current: What has been the biggest challenge that you have faced while working for the National Park Service, and how did you resolve it? Tucker: My biggest challenge as a manager in the National Park Service has been managing expectations: the task of meeting visitor and community expectations while balancing the operational needs of the Park, with limited resources—the hard decisions that have to be made, never fully satisfying everyone at the table. Knowledge, science, communication, partnerships, community participation, and a strong leadership team allow me the opportunity to make a sound decision that meets our primary mission to preserve and protect the natural and cultural resources for the next generation. Current: How about your biggest joy while working for the National Park? Tucker: There are so many great experiences I have had in my NPS career; it is difficult to choose. In my top five list would be: (1) leading interpretive programs for visitors at all of the parks where I have worked, and seeing the moment when the story “clicks” for the visitor, (2) participating in the 2008 and 2012 Presidential Inauguration planning in President’s Park, (3) starting a “Park Prescription” program at Lewis and Clark where doctors prescribe National Park recreation as part of a healthy lifestyle to patients, (4) achieving the highest Park employee job-satisfaction survey results in the Pacific Northwest and (5) seeing a family spend their vacation and making lifetime memories in a National Park. Current: We understand that your family has roots in Michigan. Where are you and your wife from? Care to mention your two young children? Tucker: I am a Colorado native, growing up in the suburbs of Denver. Both sides of my wife’s family go back generations in Michigan; she grew up in Lansing and graduated from the University of Michigan. She also spent her childhood summers in Northern Michigan, including camp on the Leelanau Peninsula and three summers at the National Music Camp in Interlochen. Our 4-year-old daughter and 8-year-old son have loved visiting the state and look forward to the move and experiencing all that Michigan has to offer. Current: May is warmer than April, but it still is not yet summer. Any idea when you will take your first dip in Lake Michigan? Tucker: If my daughter has anything to say about it, we will make the plunge five minutes after we arrive! Current: Presently, Port Oneida is a vast and virtually undeveloped historical area within the Park. Do you have any special vision for this unique farming community? Tucker: I look forward to listening to the community and the Preserve Historic Sleeping Bear friends group for their direction and vision. I already have the Port Oneida Fair and the Port Oneida run on my calendar in August! Photo caption: Scott Tucker is the new superintendent of Sleeping Bear Dunes National Lakeshore. Image courtesy of the National Park Service.